Moving to a cloud-based enterprise resource planning (ERP) platform as so many enterprises have brought with it new opportunities to improve user engagement, regardless of whether the cloud-based ERP application is replacing a legacy solution or is the first ERP solution you’re rolling out for your organization. Here are five ways to improve user engagement with cloud ERP. A feedback channel for the new feature or planned integration, such as an email or form link. This cloud ERP roadmap should be a living document, available online, that’s reachable to your ERP user community for comment and feedback. Today’s cloud ERP platforms come with robust mobile clients. Including mobile users as part of your cloud ERP rollout ensures that users can access your ERP system anytime, anywhere from their mobile device. Before introduction, a cloud ERP mobile client in your enterprise app store, take the time to account for any security requirements your security and mobile teams may have in place. Offering your users training for the new cloud CRM platform is an important part of civilizing user engagement. Even your more seasoned ERP users can benefit from training on the new features your cloud ERP solution offers. Classroom training isn’t feasible for every organization, of course. If it isn’t the right fit for your business, consider online training or desk side one-to-one training during the cloud ERP launch. At least, be sure to provide job aids for your cloud ERP system to help your users conversion to the new platform. A move to cloud ERP brings with it opportunities to use its application programming interface (API) for integration with your other back-end systems. There are two ways it can go. One is that you do nothing with the API. The second way is that you do too much with the API, such as creating integrations that your users aren’t really asking for. 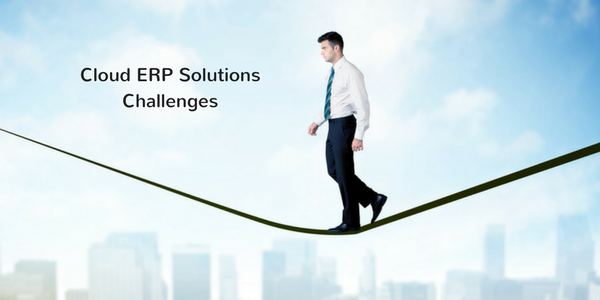 Define an ERP combination roadmap to chart future integration priorities. Responsive IT service desk connections related to any cloud ERP user issues that may arise.